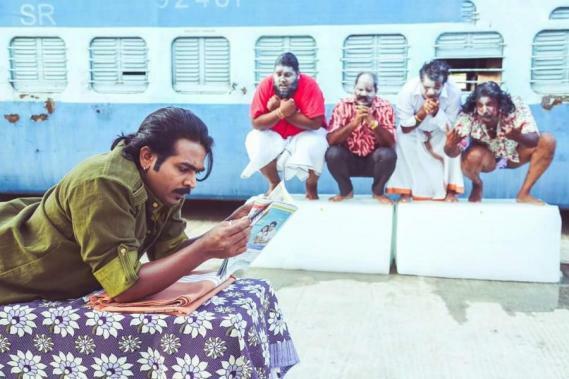 Released yesterday, ‘Makkal Selvan’ Vijay Sethupathi’s latest film, Junga, took a solid opening across Tamil Nadu. A Gokul directorial under the Vijay Sethupathi Productions banner with music by Siddharth Vipin, Junga has now landed a major advantage in the USA. Junga has gotten a grand release in the USA after Movie Pass, the numero uno for movie subscription services acknowledged the mafia comedy as a major release. Apparently, this distinction doesn’t come by for all Asian films and Junga has now gone on to be bestowed with the privilege. As a result, fans in the US can now using this Movie Pass facility to watch Vijay Sethupathi’s Junga as many times as they want to. Actress Sayyesha is playing the female lead in Junga, which also has Yogi Babu, Saranya Ponvannan, Radha Ravi, Suresh Chandra Menon, ‘Motta’ Rajendran among others in vital supporting roles. Furthermore, actress Madonna Sebastian too is making an extended cameo appearance.